Cloud computing has become a major convenience when it comes to file storage. As cloud services such as Dreamcompute and SolarVPS continue to grow in popularity, they must remain trustworthy in order for users to save and access important content from various devices. Their system is secured by passwords and complex processes, and the information it holds is able to be shared and retrieved from different regions all over the world in high definition. Customers are using the cloud to free up space on their hard drive and work on team projects within their businesses – and these are just a few of the reasons to use a cloud service. Software Defined Networks (SDN) make this type of computer networking easier and more efficient by simply and quickly moving workloads that have been uploaded to a cloud service. Its network packets are a unit of data that is transported by packet-switching networks. As the in-depth direction for each packet is sent to these switches, they rely on controllers for information regarding network traffic. So, how were packets to move within this system? Interestingly enough, SDNs were originally used to divide the routing tables that decided this from the forwarding plane that handled incoming interface packets. Then, when the packet hits the switch, proprietary firmware would direct the switch to where the packet should be sent. Finally, every packet is sent on the same route that heads to the same place. A Software Defined Network uses different types of technology for a versatile network comparable to those of servers that have been virtualized and it also use interfaces. The general definition of an interface says that it is the point where two systems meet, and this principle can also be applied to its use in the computing world, where interfaces connect users to computers. Through the unique communication abilities of an interface, users are able to meet their computing needs. Furthermore, the southbound interface (SBI) of an SDN uses alternative protocols and aids in the communication between the switches and controllers by connecting to the northbound interface at a lower level as it processes the technical information into smaller details. The program logic and interface that allows the inner workings of a computer to act based on command, or programmability, is also automated with SDN. The team at www.frugaa.com has researched the benefits of Software Defined Networking and their survey has found that through the use of the central management tool, administrators can manage a network in an integrated fashion and without isolation. The requirements of businesses are ever-changing and engineers need to be able to react with urgency. Moreover, an added bonus of SDN is less time wasted waiting around for upgrades on various devices when there is only one device to update. Yet, when working with single switches, network administrators face more constraints than when operating from one core unit when controlling traffic, or the flow of network packets that contain valuable data. 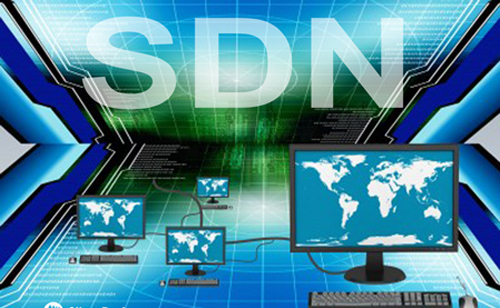 SDN seeks to make the technical aspects of cloud computing more simplistic and unified. Groups often come together to spend hours making changes to cloud computations, but SDNs give full control to network administrators through its central management system, and can isolate the traffic and define it as needed. The Access Control List (ACL) defines a file object and tells it how it can operate, and this can also be modified with SDNs along with the firewalls. Firewalls are very important because enhanced security features are synonymous with their use. They are a security gateway that keeps harmful content blocked while still permitting the users to let chosen content out. The abilities of firewalls to control network traffic make them necessary for anyone who uses cloud computing, or the internet in general, if they want to be protected from malware and being hacked. Networks defined by software also have no locational boundaries, making it easier to deliver services to any device. Also, purchasing additional devices to establish a connection isn’t always necessary with SDNs because some are inclusive with the Operating System. A Software Defined Network also pairs quite well with Virtual Machines (VM), which are Operating Systems that work like a physical computer by mocking all of its components while remaining transferrable. Among many other things, Application Programming Interfaces (APIs) need to be properly managed. This supports stable connections and functional memory to ensure that applications run smoothly, and is part of the SDN management system. Since SDNs are software programs, their use can be further maximized through extensions that become a part of the program and enhance what the software can do.